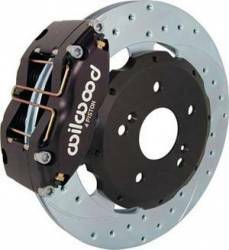 Description: Wilwood 4-Piston Front Brake Kit for the 04-06 Scion xA / xB 140-8335. Wilwood Scion xA / xB 4-Piston Front Big Brake Kit is the ultimate upgrade. Scion xA / xB Big Brake Kit comes with 13" Rotors, 4-Pston Calipers, Lines, Pads, etc . .